No joke, hehe. I found it on this site, but here's About.com's Urban Legend piece on it. So for you ladies who are sick of cleaning up after your husband's dribble (did I really just say that? 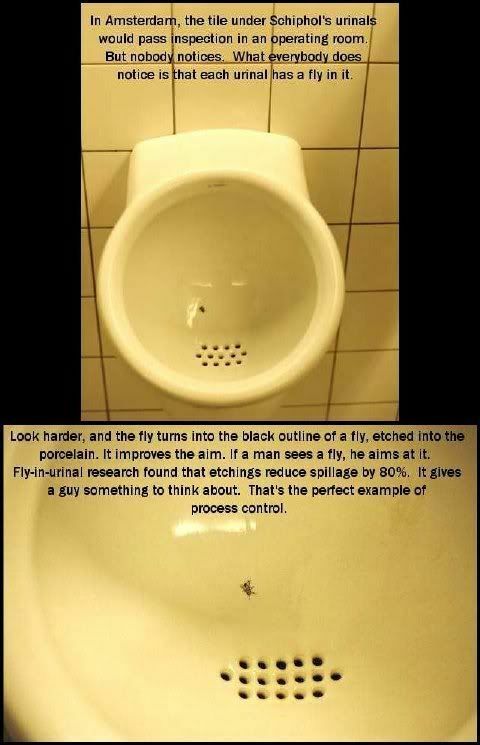 lol), etch a fly into the toilet. Not only will it prevent "spillage" as they call it, but your husband will love you even more for giving him a new game.